Please eat ½ hour or 45 minutes before you jog! I spoke to a new jogger this week and she wasn’t eating before she ran in the mornings. I made this mistake when I first began jogging and couldn’t figure out why I was so tired! 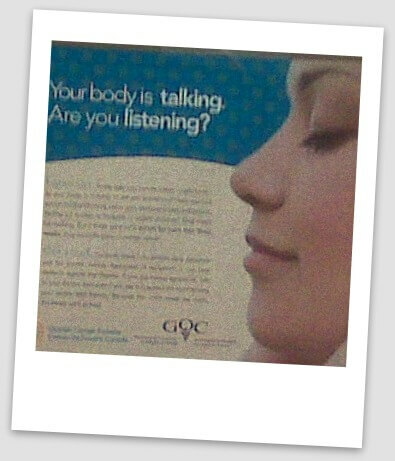 Your body is talking, are you listening? A little bit of God – A beautiful bald eagle swooped down in front of me as I jogged along the ocean. He was maybe 15 feet away. Stunning. I had to jog alone this week so I thought to myself, “Come on Tina, you jogged 30k by yourself, you can do 17k.” It’s hard to argue that point. In actuality, I ran for 12-13 minutes and walked for 2. It wasn’t about training for me today, it was about dealing with anxiety, stress and negativity. Bluetooth: Did you say, call Marissa? Bluetooth: Did you say, call Maya? Bluetooth: Did you say, call Norm? Bluetooth: Sorry, no match found. This happened three times. Normally it would be mildly annoying; I would laugh it off and try again. Today every little thing irritated me. The man with rubber clogs, shuffling his feet on the cement as he walked his dogs or the woman with a high-pitched voice yelling just in front of me. I felt myself getting cranky and impatient as my anxiety and stress level climbed. It was horrible and I knew I just had to jog. Serenity. I figured out exactly what I wanted to say regarding a couple stressful situations. I processed my anger, understanding why I was angry in the first place (I wasn’t told the truth). Jogging allows me to feel my emotions in a safe way – a way that’s not hurtful to myself or others. I just run. I went hiking with a friend through Lynn Valley today. It was a beautiful sunny day, perfect for a leisurely walk in the mountains. I started strong, jogging 10/1’s until around 11K then I took a gel. This is what I learned: Gels are like tequila. Once you have a bad experience with them, your body never seems to forget. Last night I was out for dinner at a lovely restaurant that had a very limited FOOD menu (huge wine menu!). I ate mostly protein and vegetables; no carbs. In the morning, before a long run, I would normally eat a bowl of organic oatmeal AND a multi-grain bagel with organic chocolate hazelnut butter…today I only had the bagel because I ran out of oatmeal. So I didn’t have the fuel I needed to sustain me. I know better. Anyway, I got through it and I’m proud I persevered. Although jogging can be hard, it’s always worth it. I had a meeting with Jody Kennett from Leapfit today. She is a wonderful, AUTHENTIC, and truly INSPIRING person. 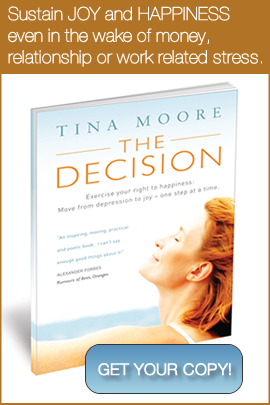 She helped me enormously with her INSIGHT and HONESTY. Today she acted as a friend and as a life coach. If you need someone to help you put things into proper perspective, show you the path you need to take to reach your goals and get your priorities straight; Jody is the person to contact. I am blessed to have Jody in my life. Thank you Coach Jody!! Right now I have a lot of stress in my life and some of that stress comes with anger and frustration. Today I needed to run fast and hard. When you are stressed, running really fast and pushing yourself is great but sometimes I grunt, yell or make some sort of vocal sound to let out more negativity. I cry due to the intensity of the jogging. I cry because I have stress or anxiety. I cry because it’s hard and I’m tired! I cry because it lets out whatever else is bottled up inside. I jog, I cry, I jog and then I feel normal again…in fact, I feel HAPPY. It’s fantastic. I will continue to repeat this message: JOGGING HELPS YOUR MENTAL AND EMOTIONAL WELL-BEING. It is the greatest stress reliever. Try it and don’t give up; it will take time for you to feel the happy endorphins…but they are there, and it’s worth it! From a physical perspective my right shin bothered me at the end so I iced it immediately afterwards and of course did some stretches for my calves, back, glutes, hamstrings and hip flexors. My right shin is aching today so I decided to rest. For me the goal is to enjoy running, challenge myself, and complete the races…none of that includes jogging through pain or injury. Discomfort perhaps, intense pain, no. I took today off. My body is talking and I am listening. I was suppose to see Benita at Ocean Wellness today but I had to cancel due to work. It’s been three weeks since I’ve seen her and my body is letting me know. I sit at a desk writing all day and then sit at a piano teaching voice all night. Proper posture is imperative and it’s very important to get up and stretch because I’m in the same position for approximately 10-12 hours. Benita (Chiropractor) and Kathryn (Registered Massage Therapist) both help me with the challenge of little movement in my work and the tightness that can create. CHECK OUT MY ARTICLE IN THE DAILY NEWS THIS WEEK. HAVE A GREAT WEEKEND! SEE YOU ON TUESDAY!